The other night, when my sister-in-law was visiting, I ended up in an interesting discussion regarding my auditory processing disorder––a cognitive disability with which I was diagnosed when I was in first grade. This disability has been part of my life for as long as I can remember, but due to the early diagnosis and help I received, and thus the medical attention I received and the coping mechanisms I was able to develop from a very young age, is not as traumatic and debilitating as it might have otherwise been. And I rarely talk about this disability––partially because, due to a general state of ableism, I find it irrationally embarrassing, but mainly because, as I will argue below, my class position and social privilege is such that I have been allowed, more or less, to escape its more negative affects. Since my sister-in-law is almost finished her audiology degree, and APD is a cognitive disability that exists somewhere between the auditory and the neurological, she was interested in the coping mechanisms I had developed, and how I had incorporated it into my overall life, since she had encountered test subjects who, unlike myself, had been socially and emotionally hampered by the same disability. It was strange thinking back on the days of my diagnosis: first grade was a long time ago, but in some ways I remember it much clearer than second, third or fourth grade because of how my disability, before diagnosis, was treated by my teacher. For I do have clear memories of this teacher, permitted to be openly ableist in a system that was only beginning to be affected by progressive activism, calling me "retarded" and "rude" and "stupid" and someone who "should be in special education." I also have memories of the various specialists who tested me, distorted recollections of bizarre cognitive tests where my brain was scanned while loud music was played into my ears and I was asked to assemble building blocks in arcane patterns. Or memories of how I was told I had "a problem" and was given special earplugs to wear in class which, though making me stand out, did allow me to learn how to read and function in a "respectable" manner. After that first year, probably traumatic only because I had a teacher that called me "retarded" in front of the entire classroom on a regular basis until I surprised her (after receiving diagnosis and was given the rudimentary tools of how to function) by becoming literate, I progressively adapted to my disability. Soon, because of parental awareness and constant visits to various specialists, I was beginning to function according to normative patterns of child development. Sure I was that weird kid who had to wear earplugs, write in isolated silent corners, and maybe had a problem processing the vocalizations of my peers, but I was quickly becoming a "space cadet", an introvert, a more acceptable weird kid. And while it is true that I would be affected by the vicissitudes of APD for the rest of my life––there would always be social and intellectual challenges––the coping mechanisms I was able to develop at an early age, and the fact I received help quickly during the period of childhood literacy, have severely minimized the affects of this disability. 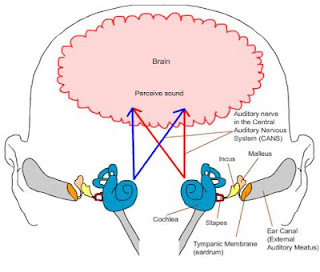 Now a regular part of my life, I rarely have to think about this neurological/auditory disorder; it only comes up in certain social situations, in isolated academic settings, in the odd moments where it causes me social and informational processing difficulty. At these moments I suddenly recall that I have a cognitive disability, that I am "disabled" on this invisible mental level, and I cannot help but feel disjointed––like I'm suddenly looking at myself and I'm someone else, not the able-minded person with the doctorate that I am supposed to be but some maladjusted social outcast who should have flunked out of high school. The dissonance is always odd; it is strange how easy it is to forget this disability, how lucky I am to be able to forget in the first place. So what has become very clear to me whenever I contemplate the fact of my disability is that other fact, the one that only us grumpity leftists ever want to talk about, which is more determinate than my specific disability. An auditory processing disorder is clearly a neurological reality, but the reality of my social position is even more important. Because the fact that I am able to cope with this problem, that I can spend long periods of my life not experiencing it as a disability and having the privilege to forget I have a cognitive disability, speaks to a certain level of privilege. My parents were up-and-coming professionals in a time when the economy was stable and the work force was not facing austerity measures. They also happened to be professionals who worked in the area of so-called "special education" and thus were trained to understand the importance of properly diagnosing learning disabilities. So finding out how to teach me the proper coping mechanisms at a young age, and having the time and autonomy to actively assist in this teaching (the result of a certain level of class privilege), allowed me to become literate and functional. To put it crudely: I didn't have to be disabled because of the class position into which I was born. What would have happened to me if my parents were not petty-bourgeois professionals? Perhaps I would have remained illiterate for a long time, failing primary grades. Perhaps I would have been placed into special education. Perhaps I would have never made it into university, let alone gone through graduate school. Perhaps I would have been an extremely maladjusted and socially awkward person. The only reason I was able to cope with my disability at that crucial age was because of my parents' class position and knowledge; for there are people with the same disability who remain illiterate or barely literate, who have committed suicide because they have found it difficult to cognitively process language (APD is sometimes called "mental dyslexia"), or who have been unable to have fully functioning human relationships due to their inability to properly communicate. If you are diagnosed early, and you learn how to navigate this disability at a young age, the trauma of this disability can soon be avoided and, at least in my case, it doesn't need to affect your life… but again, to receive a proper diagnosis and learn the proper coping mechanisms requires a parent or parents who are educated, who can navigate medical bureaucracies, who have an inordinate amount of time and energy to spend on helping their child, and who possess a certain level of class autonomy. Radical analysis and activism around the material grounds of disability/ability has taught us that people are only "disabled" insofar as capitalist society denies access to people who are excluded from a normative construction of ability. Socializing accessibility, as well as destroying the distinction between the disabled-abled binary, is a revolutionary demand. And in this context, understanding how class privilege allows some people who are "disabled" to function with far greater autonomy than those lacking this privilege should tell us that the socialization of accessibility is a necessity. After having struggled through graduate school with some measure of success (thanks to the coping mechanisms I was privileged to learn at a very early age), I still find it extremely difficult to navigate the cognitive terrain of post-graduate school. The problem of processing auditory information, the problem of following directions, the inability to properly listen, the longer informational processing times, language difficult, paralysis in situations where there is an information overload, and troubled reading comprehension––these can be significant barriers to existing as a human being in this world. And while it is true that the current economic climate is paralyzing in some sense to everyone, it is also a fact that it is more paralyzing to someone with a cognitive disability; I still find it difficult to properly comprehend the ways in which I need to interact with the world in order to get a somewhat decent job and pay the bills. Even still, I survive because I was privileged enough to learn these survival skills at that early and crucial age. So how many others are not surviving because they lack the same privilege, how many others remain illiterate and impoverished, how many others are struggling to comprehend this nightmare world unaware that they have a disability that could be managed had they been born in a class that permitted them the opportunity to cope with their problems? Several years ago I had the (dis)privilege to work with someone who argued, chauvinist that he was, that people with learning disabilities had no business being in university. This was after an exam, when he was inconvenienced because he had to pick up the exam of one of his students who, thankfully aware of her disability and properly diagnosed, was lucky enough to be able to write in a special learning centre the university reserved for people with these sorts of problems. His argument was that university was for the "best and brightest" and that people with learning disabilities, because they were in whatever sense mentally disabled, shouldn't be let into university in the first place. He lamented the disease of "political correctness", blamed it for the disintegration of academic education. And though I was lucky enough to have been cognitively re-abled at an early age, and thus escape the supposed disgrace of being classified as disabled during my undergraduate years (mainly because, when I did my BA, these services unfortunately did not exist), I could not help but feel attacked by his chauvinist argument. For in his view of the world, though he did not realize it because for some reason he believed that I would agree with his rational argument, the only reason I would not be excluded as a proper academic was because I had the good luck to be born into a family that was privileged enough to provide me with the tools to overcome the "stupidity" he so reviled. I told this person that he was wrong, and angrily attacked his ableist chauvinism; I did not admit that, if my class position and privilege had been different, I might have also been the type of "stupid" person who was writing in an exam in a university learning centre. And though my refusal to disclose this personal information might have been partially out of embarrassment, the larger truth is that there was no reason to feel personally embarrassed because my class position permitted me to escape disability. Point being: I am not "disabled" because of my social privilege. I too have a learning disability, that I was diagnosed with at a young age, and which out of embarrassment (and also as my brother was handicapped, i wanted to differentiate myself from him) I refused to deal with, I too was privileged in the types of parents I had, and my class position. And as an undergrad, i had lots of problems for the very reason that I had blocked my own understanding of my problems. Having said that, when I finished my undergrad and feeling completely underwhelmed from my expirence, I went for an updated exam (which was actually funny as they said that I had possibility to harm myself, but some of the questions asked about death, and being the existentialist I am, I of course answered sort of flippantly and/or cognizant of death, which in the standardized test, meant that I was capable of harming myself!). Confirming the previous diagnoses of learning disability (duh! of course), I learned to advocate for myself in my graduate years. Thus, I guess I have some similar experiences to you, and I have noticed that learning disabilities are becoming accommodated quite profusely in the academic world (at least, in the first world), and on the ld list serve, they're always posting jobs from the corporate world too. The way that I understand LD's means that I have long thought, that most of us (if not all) have some form of an LD (a mental block on some cognitive functions, akin to needing glasses). Everyone I know has some malfunction, which raises the important point that you raise at the end, due to your social positioning you (and I) were able to outpace the "disability"... but how many countless others have been unable to do so. Finally, the stories you mention (being called "retarded" and the fellow ta who had such an advanced understanding of his very social position-- and which reminds me of Sartre's prophetic critique of those who criticize employment equity programs... "if a Jew was accepted in his exams, does not mean the French man who failed would have been accepted, he would have failed no matter what..." -not actual quote), boils my blood, not on my behalf but as I mentioned my brother was handicapped. He was not like you or I, and yet he could do many things, so should he have not had the opportunity to have a bar mitzvah (for his grandparents more than us, but his accomplishment nonetheless) or graduate high school? p.s. since you changed the style of your blog i have not liked this layout... I tend to make pdf's of everything online, and it is almost impossible to make a pdf of your new blog format. First of all: sorry that the change of format causes problems. Unfortunately the previous format also caused problems (complaints about readability, eyeball scorching, and seizure-inducing appearance), and perhaps I would have been better served starting the blog on wordpress. Unfortunately, switching it over to another blog server is a bigger problem than just switching the format. Have you tried the drop-down menu in the upper left hand corner? It allows you to change the format and some of these changed formats might permit easier readability––the "classic" format option is less dynamic and might permit pdf accessibility. I agree that a lot of people probably have learning/cognitive disabilities and that many of us hide them, or are able to cope with them, and only those who can't are the ones who stick out. In some ways it is precisely like glasses and I recall, when I first was required to wear glasses (grade 5) I was extremely embarrassed due to the bizarre social stigma attached to it... But now, eye impairment is a normative disability, and not even understood really as a "disability" (since it's clearly not abnormal), and access to eye wear, at least in the first world, has changed things. It is interesting how the academic world has changed (due to activism of course) to accommodate various disabilities, but is also still interesting to note how the class positioning of people entering this world also delimits access. For example, on morning before I posted this blog entry, I was invigilating an exam and one of the students, I discovered, had a serious problem writing in a group context––the Course Director, who tried very hard to accommodate this student, even said that he suspected the young man had a serious learning disability (autism or maybe even my disability). And yet this student was somehow unable to access the larger resources the university had to offer: separate writing rooms, extra-class help, despite being informed of the existence of said resources. Thing is, accessing these resources requires a certain level of autonomy (these bureaucratic mazes are hell for people with these problems), and maybe even the help of family members––but if your family members are, for example, low-paid immigrant workers who already find it difficult to make sense of this society, then how can you figure out how to do any of this? Editorial comment: I just tested on classic, printed the page as a pdf, and it seemed to convert a-okay! I have a psychiatric disability and I agree that privilege augments it a lot. I haven't been able to work for years because of my disability but I'm much better off than most people with severe mental illness. For example, although my parents were poor growing up and experienced periodic unemployment, they are white and my father was able to climb to a management position over time. I'm applying for ODSP but the process is so slow that, even though I had my final application done in October, I might not find out about my appeal until something like this December. Normally a person would have to live on $600 a month in the meantime, but because my father is now petty-bourgeois he can afford to give me basically what I'd get on ODSP. Likewise I have access to the university system. For most of the past decade I've piled on undergraduate courses, and finished a degree in economics, as a way of getting by through OSAP and trying to be productive. Most people can't lean back on something like that. Having a petty-bourgeois class position also facilitates less obvious things like pushing for care and community help. Like almost always I'm told my requests for therapy or a particular resource are unlikely to work out at first and I have to persist to get anything out of the system. And I easily relate to professionals and have a sense of how far I can push things, most people probably have a much more confusing and difficult experience. Anyway just thought I'd share that. Bonus: Read this recent CBC article about India, you'll laugh hard. As for the article, I don't know whether to laugh or cry.